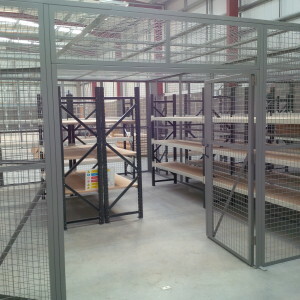 So you thought we were only about racking and shelving! 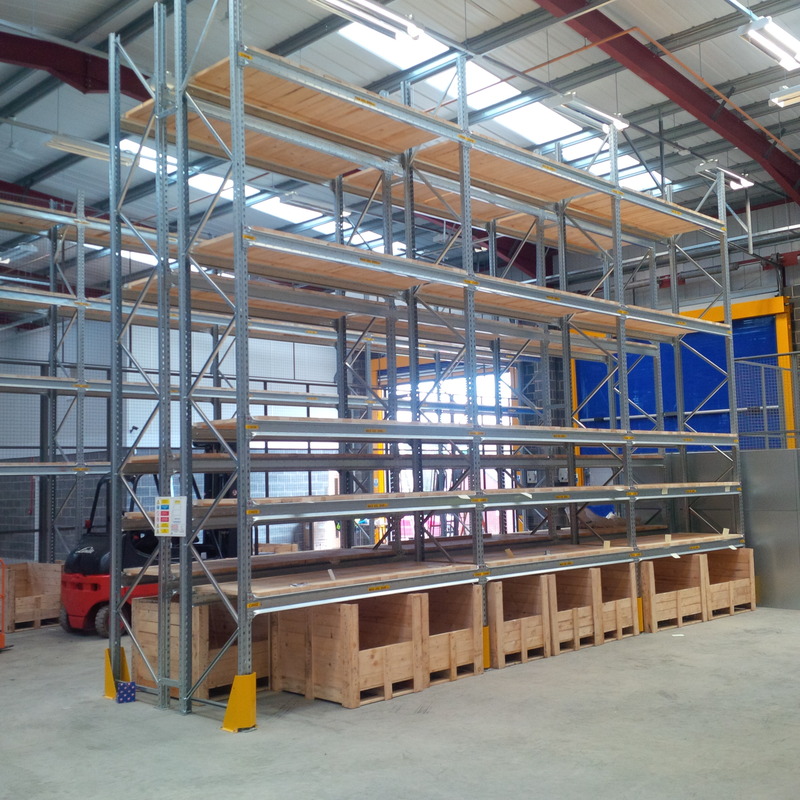 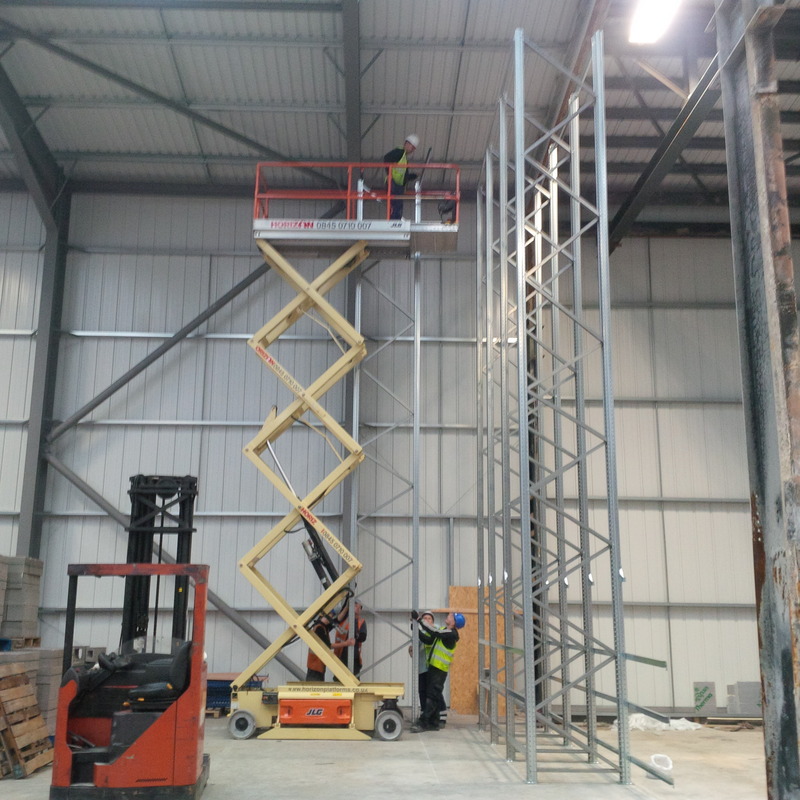 Once again HSS have become a trusted partner to another North East company, and now supply all of their storage and handling needs, with a recent supply being a new scissor lift table to transfer product within this split level warehouse. 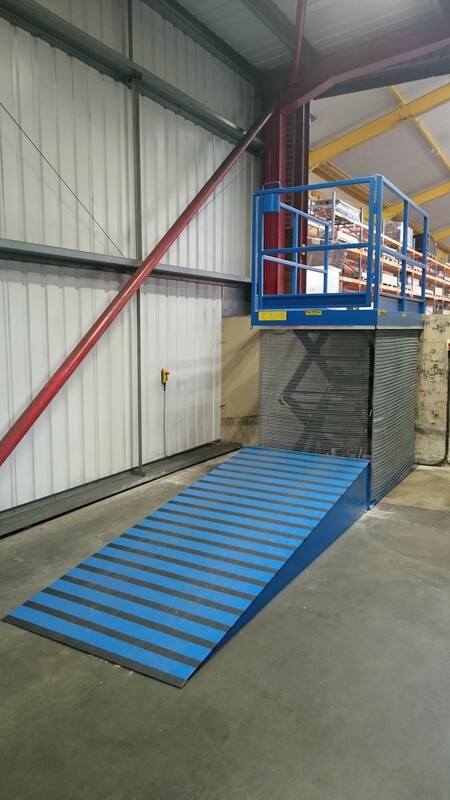 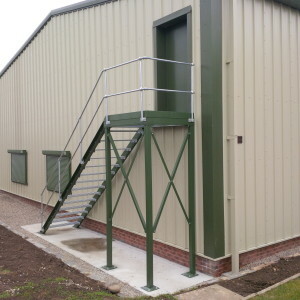 The ramp supplied avoided the need for expensive, dusty and disruptive civil works, allowing the new lift to be floor mounted and installed within a couple of hours. Existing Dexion MK3 Speedlock racking was recently extended with the addition of new timber shelves by Holt Storage Systems Ltd. 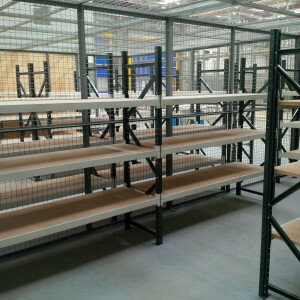 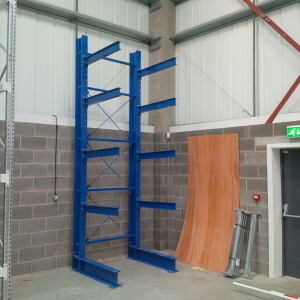 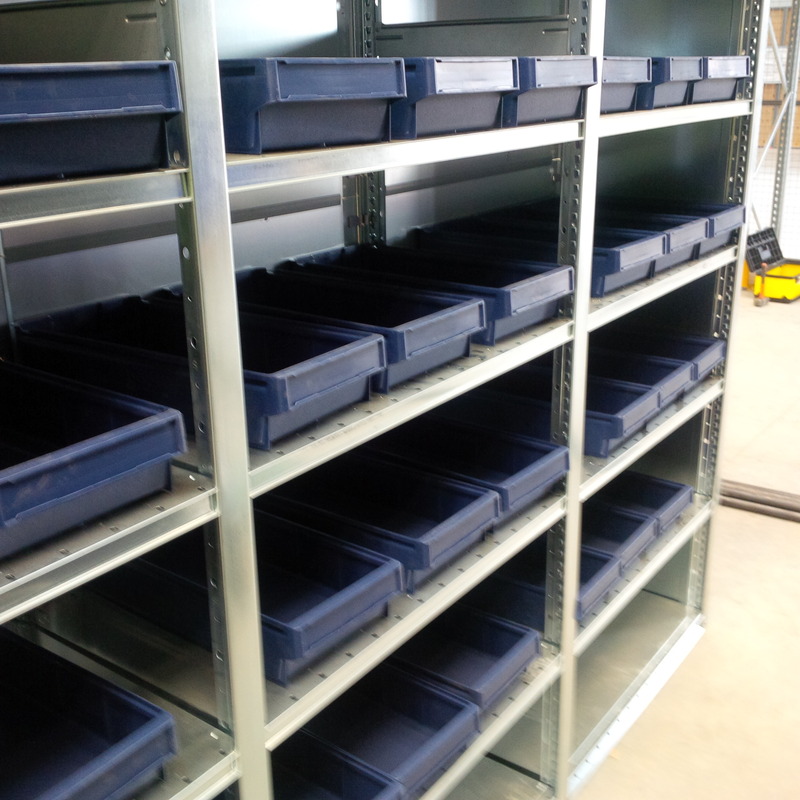 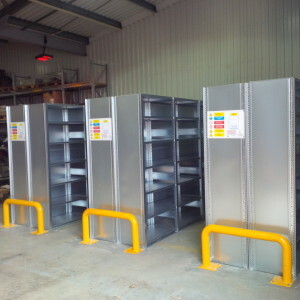 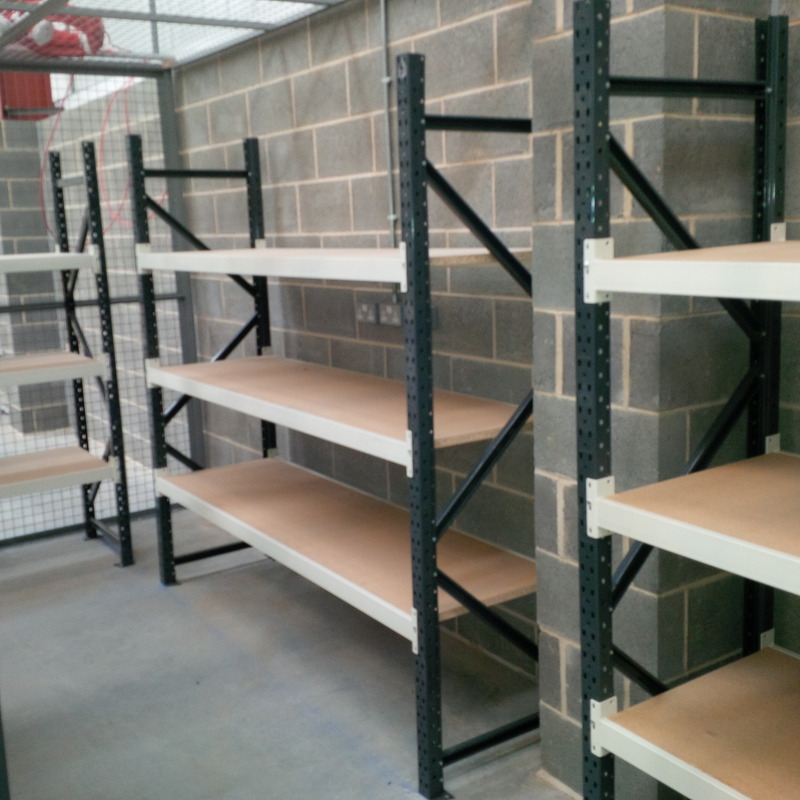 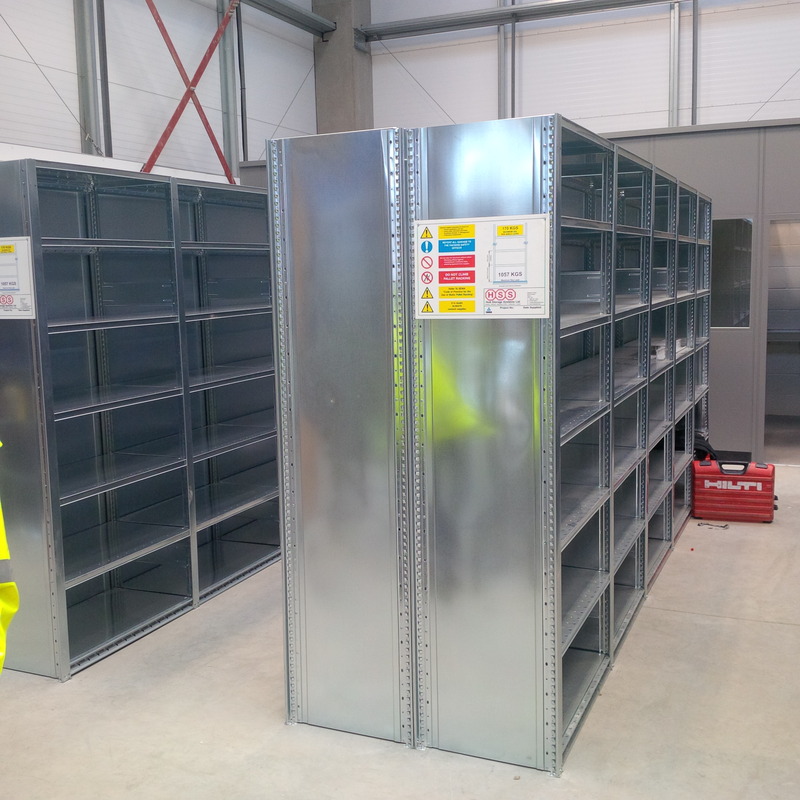 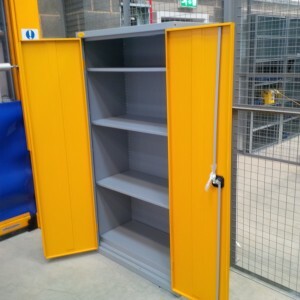 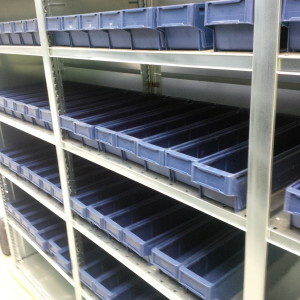 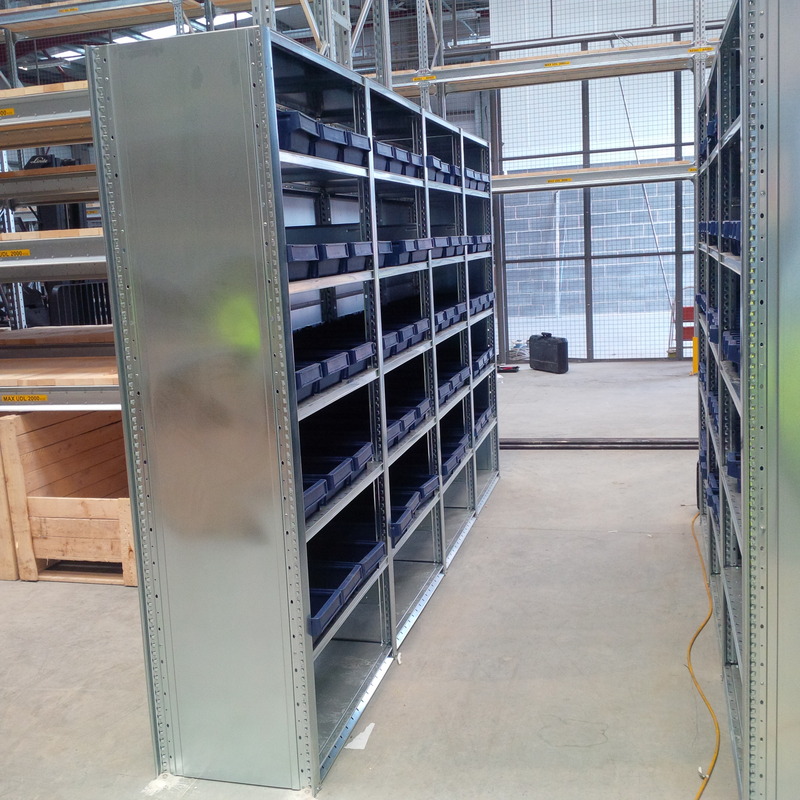 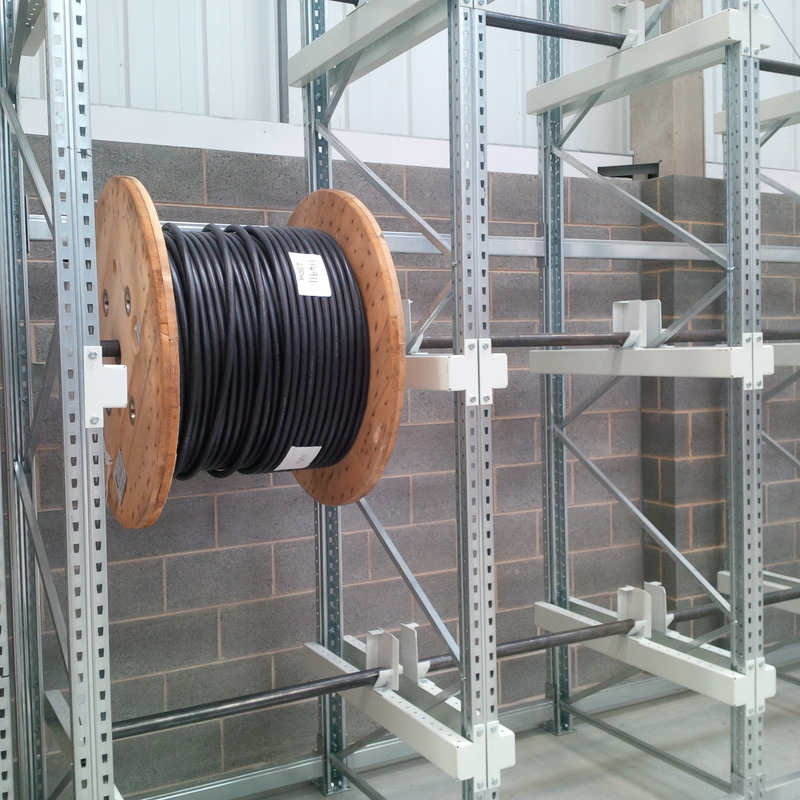 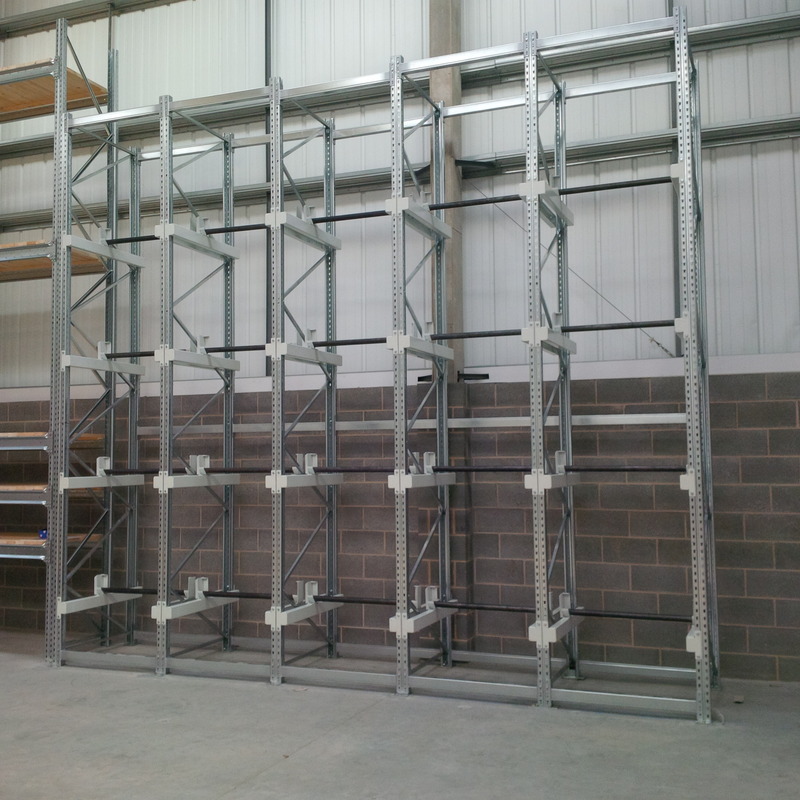 The clients change in product range necessitated a re-organisation of their existing racking, and HSS completed the work in two days to provide much needed storage space. 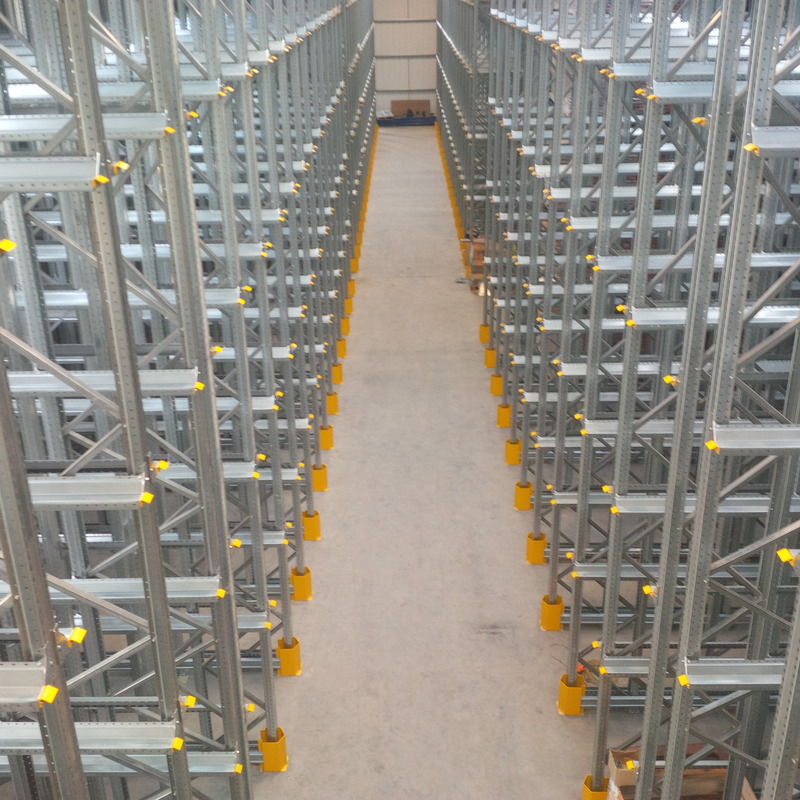 Later this month, HSS will again be providing more support to this client, by the re-organisation of another racking area to once again increase storage capacity. For one County Durham based company, the two week summer shutdown in August this year allowed Holt Storage Systems Ltd to dismantle their old Dexion MK3 racking system and install new Dexion P90 racking complete with close boarded timber shelves. 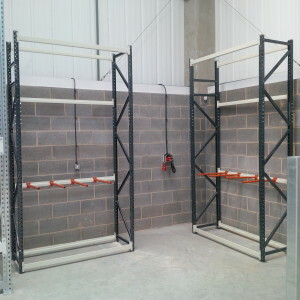 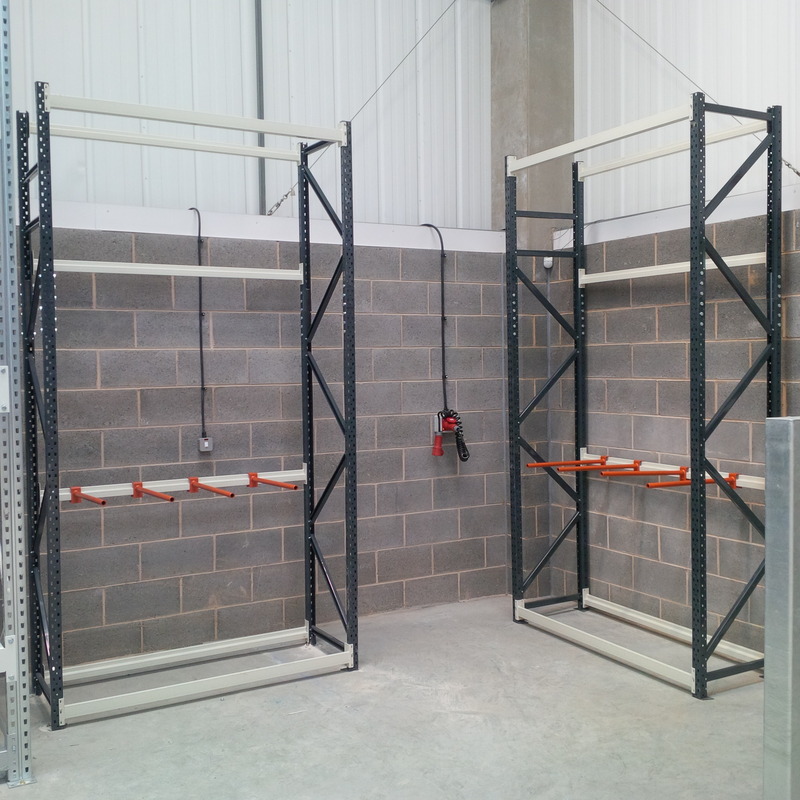 Working closely with the sprinkler contractor, racks were dismantled and replaced with new racking one by one, this helped ensure minimum disruption to the client. 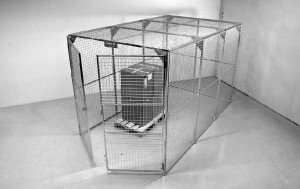 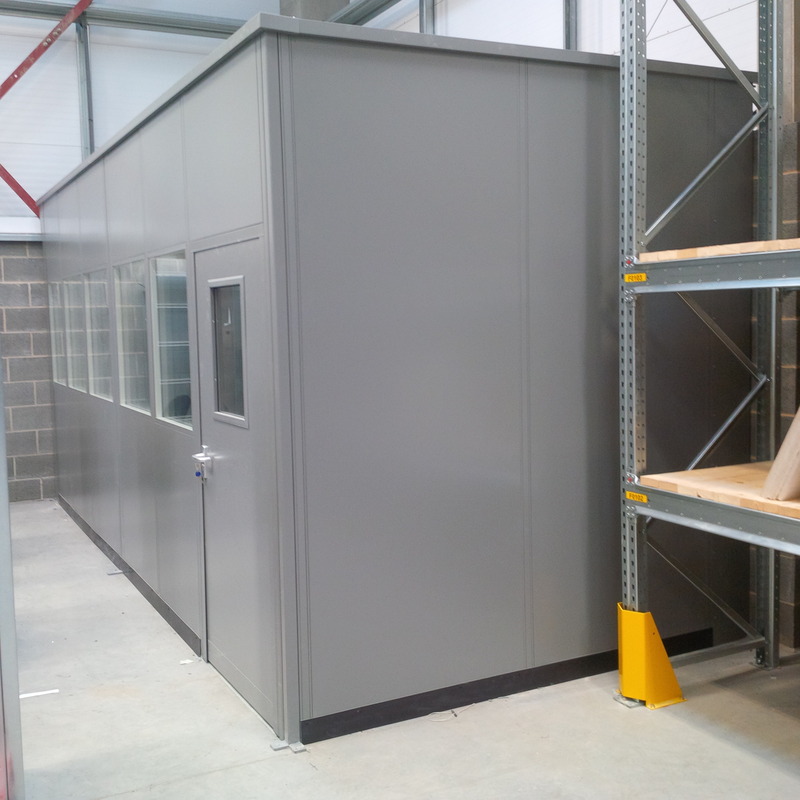 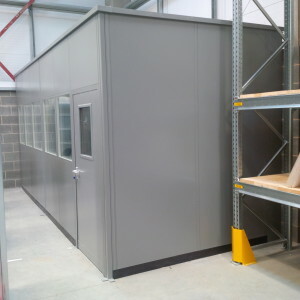 With over 20 various storage and handling products, Holt Storage Systems Ltd have recently supplied all the storage equipment required at a new facility for one of our clients in West Yorkshire. 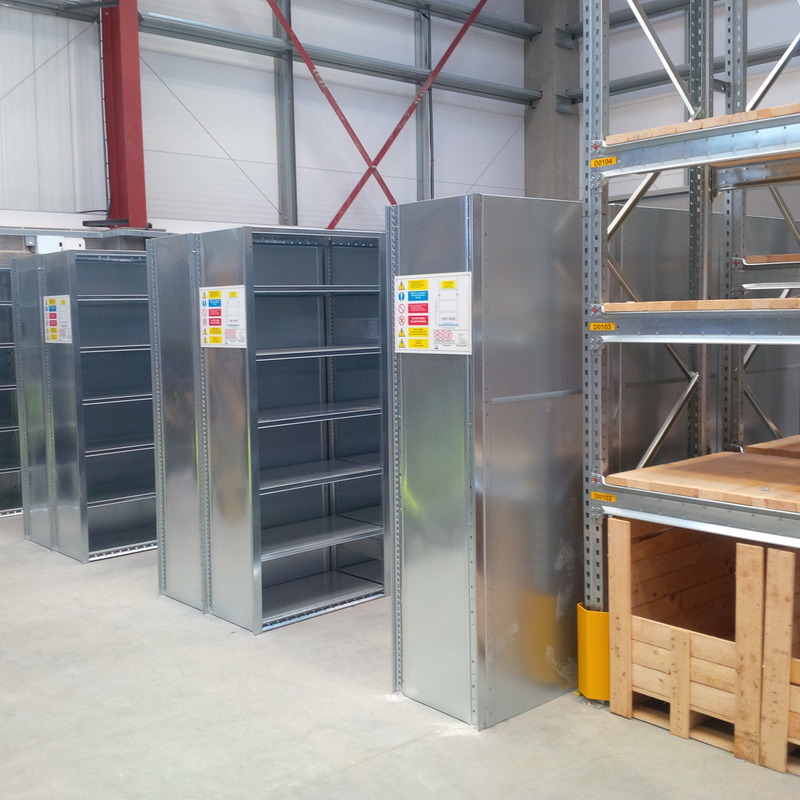 Proving once again that HSS can be a ‘one stop shop’ solution, saving time and offering value for money allowing our clients to concentrate on their core business activity. 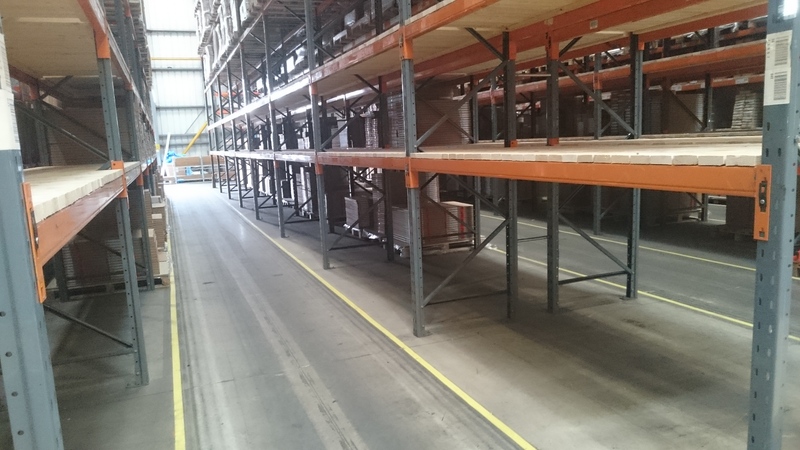 When a warehouse facility was refurbished, the client contacted Holt Storage Systems to install new Dexion Drive In racking to provide 2800 pallet locations. 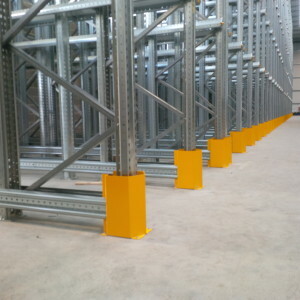 Each block of racking stored 5 pallets deep x 5 pallets high and measured 10.5m overall in height. 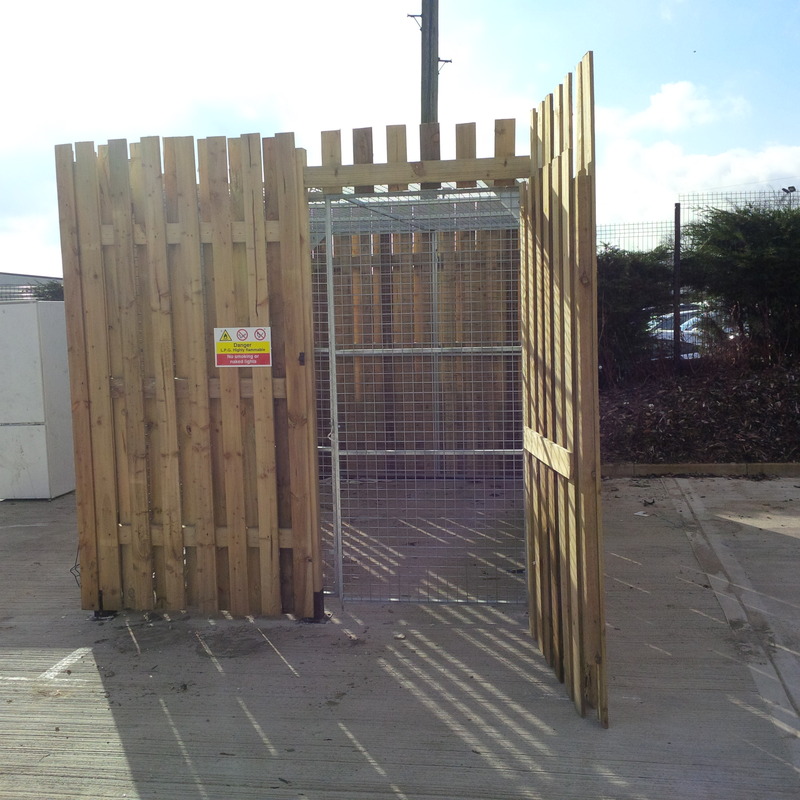 The installation was completed with rack mounted guard rails to all lanes complete with front upright guards. 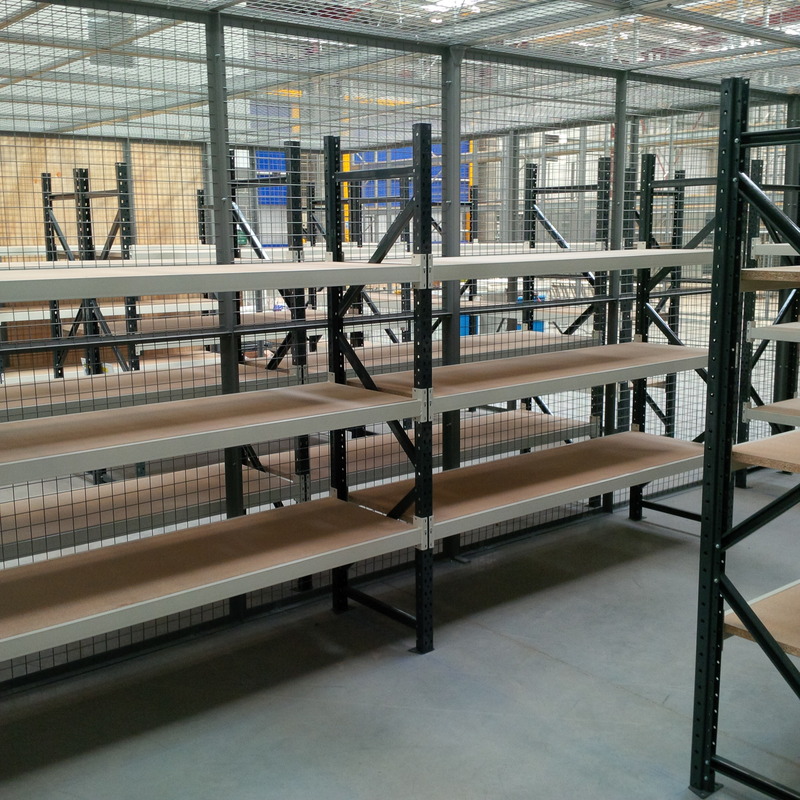 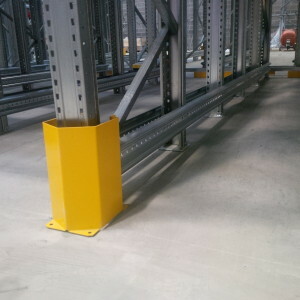 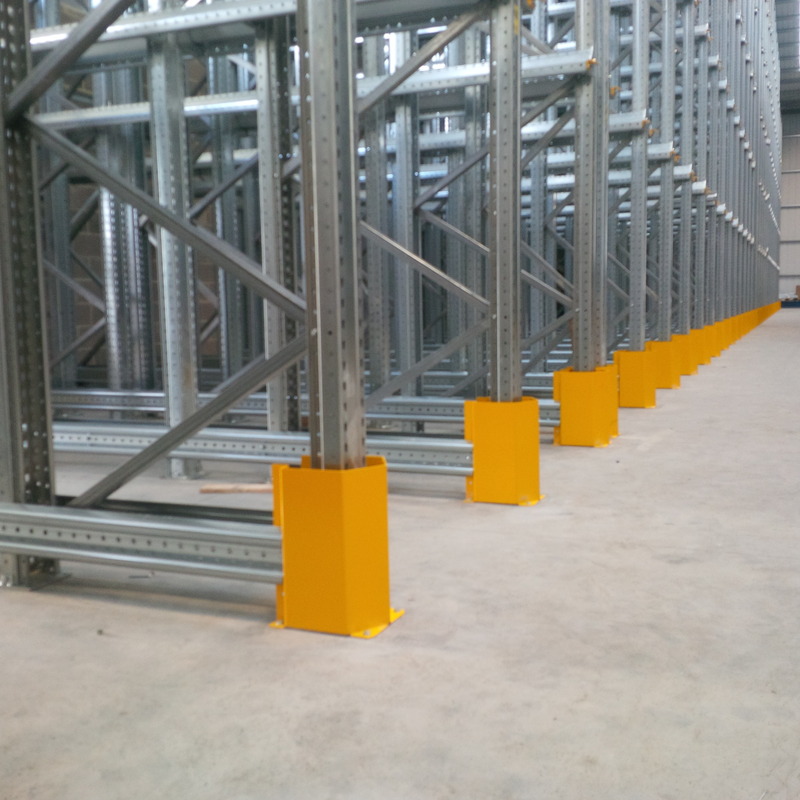 40 bays of Dexion HI280 shelving was supplied by Holt Storage Systems Ltd complete with tubular end barriers to protect the end frames from fork lift truck traffic. 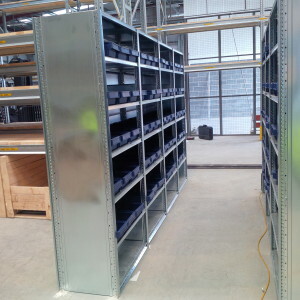 Each bay is 900mm long x 500mm deep x 2100mm high and seven shelves and solid back cladding between back to back shelves and solid end panels to each run. 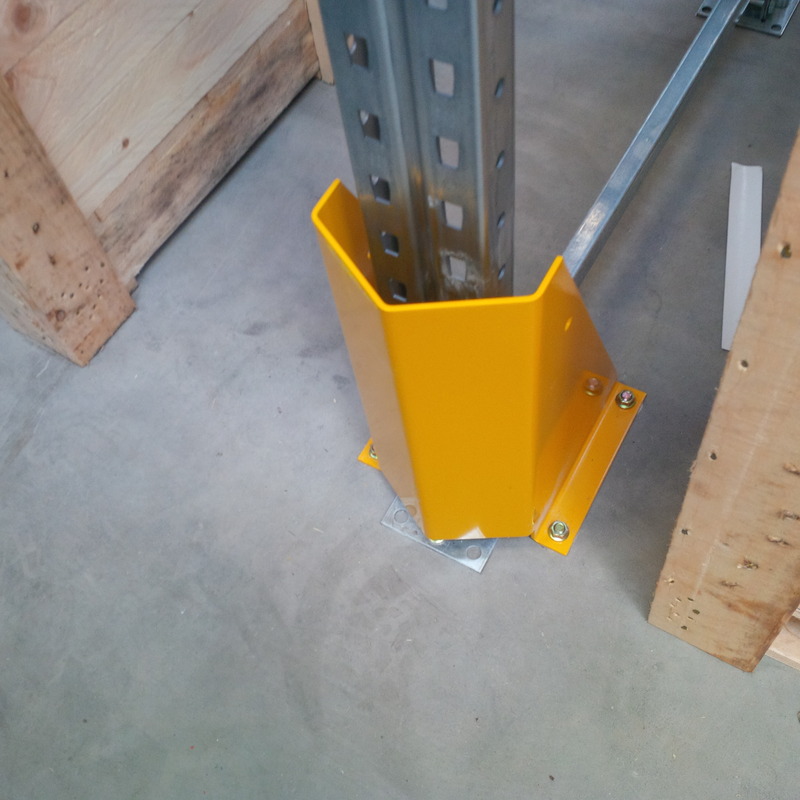 All shelf heights on the bolt free system are easily adjustable on 25mm increments. 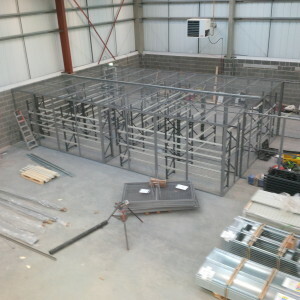 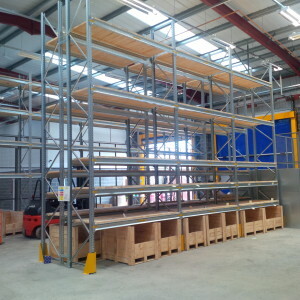 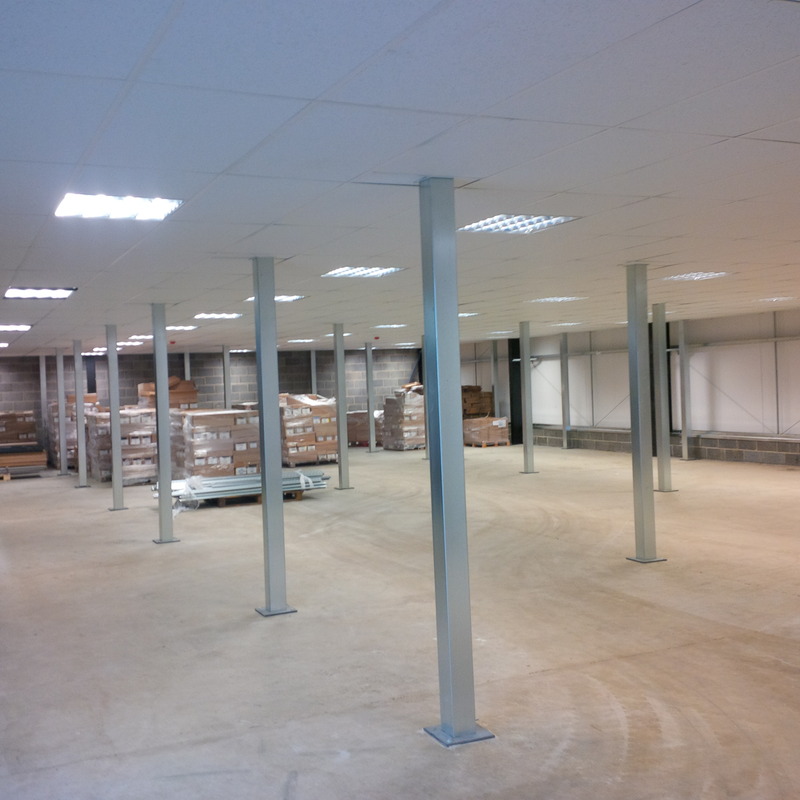 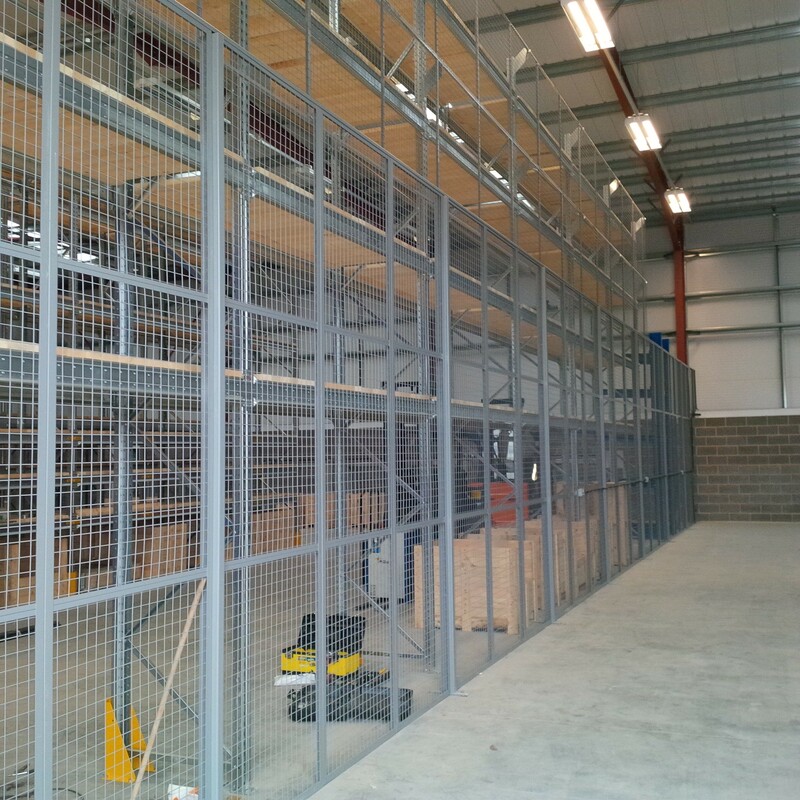 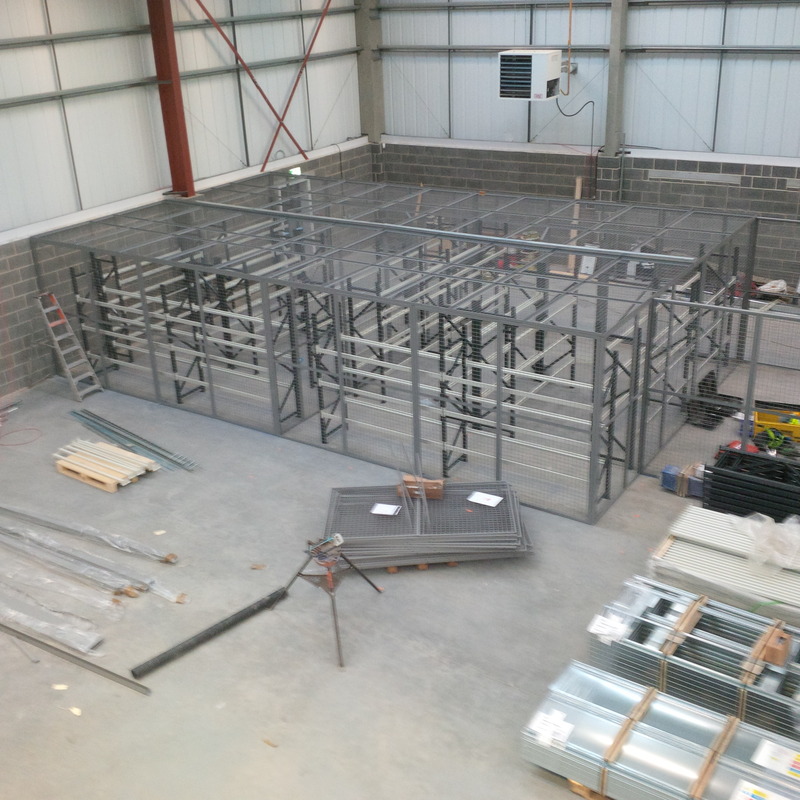 Holt Storage Systems installed this 438 square metres of mezzanine floor in Ripon, North Yorkshire. 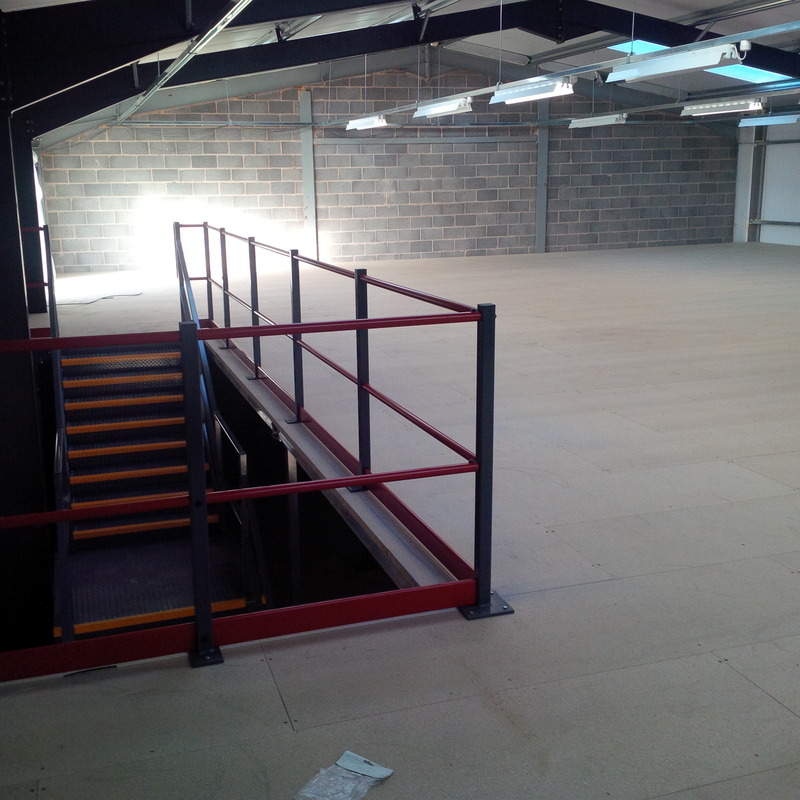 The mezzanine was fitted complete with one hour fire protection and an additional outdoor staircase unit. 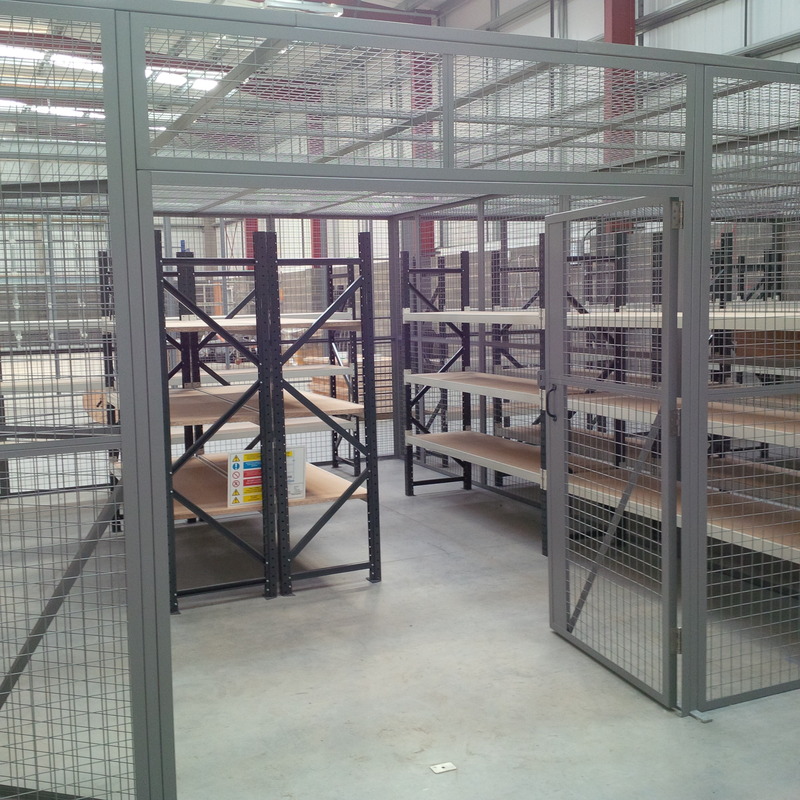 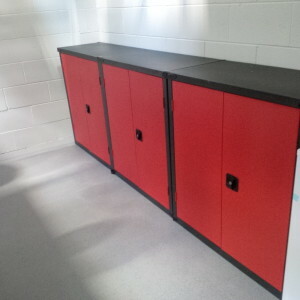 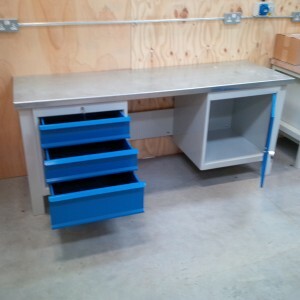 The additional floor area provided space for shelving doubling the amount of storage space within the unit. 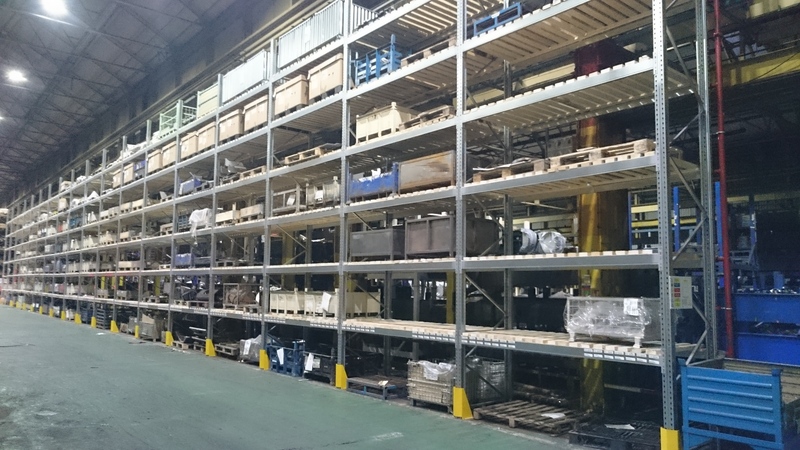 Large third party distributor and haulage company based in Newcastle upon Tyne, suffered a fire in one section of their warehouse. 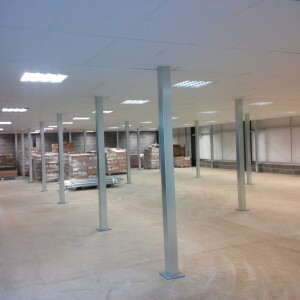 Part of the building structure required extensive rebuilding and refurbishment work. 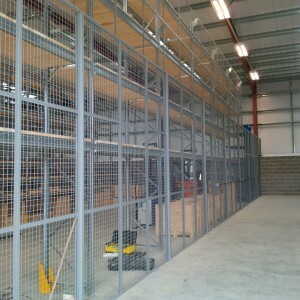 As an existing user of Dexion storage equipment, and as the building works neared completion, the client contacted HSS. 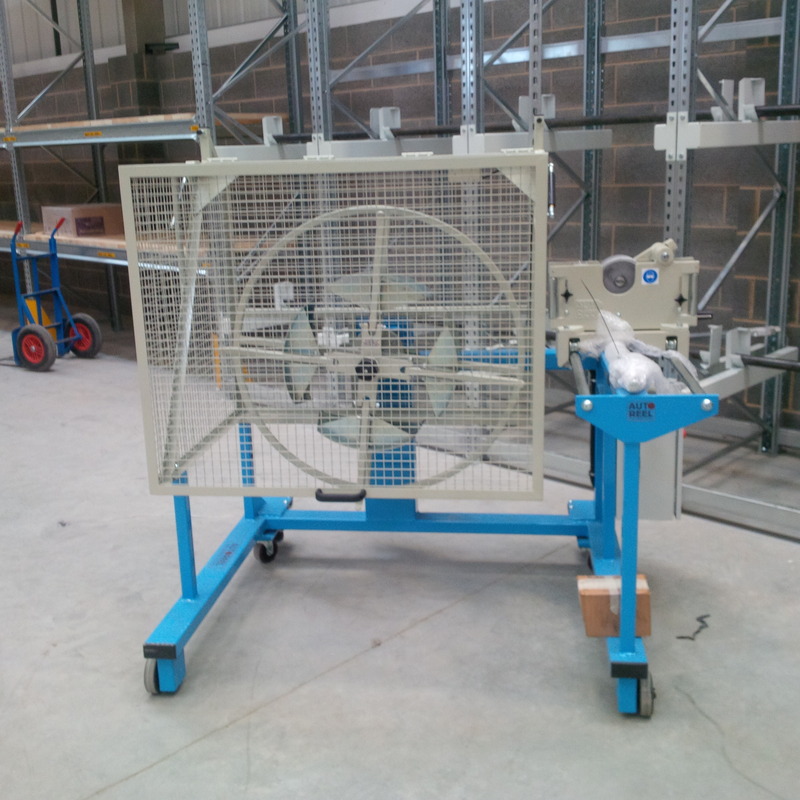 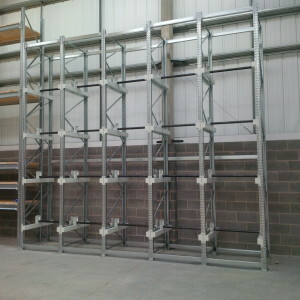 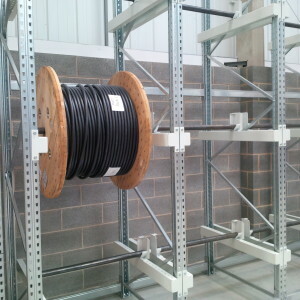 Together they were involved in the design of a new Dexion Drive In Racking system to accommodate 2800 pallet locations. 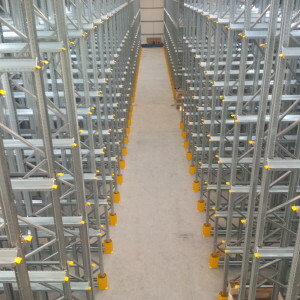 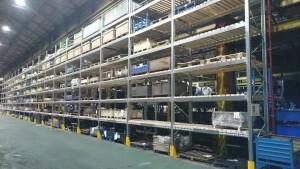 The new racking system would accommodate all pallets which were currently stored in other premises as well as offering additional locations for future expansion. 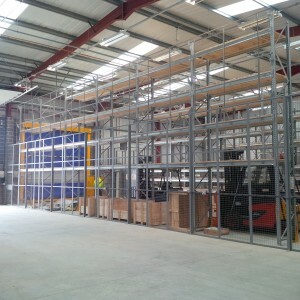 By working longer than usual days and often seven day weeks, HSS managed to complete the installation on time, allowing the client to relocate goods from the other warehouses, and back to one main site, along with their other operations.